Hohoho~~~It's been a long time! I'm so sorry that I was not able to post as many as I wanted to. Here's a very cute song to you. Wish you a very wonderful holiday season and a prosperous 2011!! 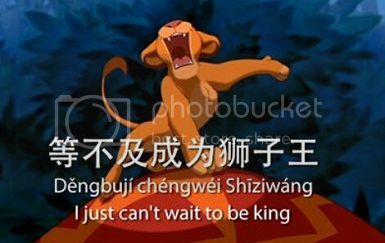 The lyrics in the video is in traditional Chinese. I am so glad to seeing you again. May this New Year bring you joys, happiness, and everything you dream of. Thank you so much Bananaz and James. I'm so glad to hear from you too. I miss you all. I appreciate the special mention and the nice wishes. I have a special request. I want to learn this song. If you could please translate it and add the pinyin. Please post it when you have time. Thank you!!! best wishes! Hi Anonymous, thanks for visiting my blog and requesting the song. Could you please let me know your name to verify that you are my member? I'm out of town right now and will post the song as soon as I can.